Saying that the UFC welterweight division is in a holding pattern would be quite the understatement. As Tyron Woodley recovers from shoulder surgery, the rest of the division is jockeying for opportunities to move up in the rankings. This has created a situation where many of the fighters in the top ten are refusing to fight fighters ranked below them, which makes matchmaking extremely difficult, if not impossible. This is what makes the recently booked fight between Santiago Ponzinibbio and Kamaru Usman so special. 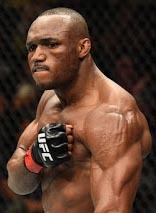 Usman has been attempting to get a high-profile fight since his last appearance in the Octagon. After defeating Emil Meek back at UFC Fight Night 124, the 12-1 athlete took to the microphone to call out the much maligned Colby Covington. 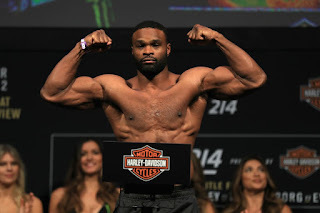 But once Covington was booked for a questionable interim title fight against former UFC Lightweight Champion Rafael dos Anjos at UFC 224, it was clear that Usman would have to go another way. So after Till was booked to face Stephen Thompson in Liverpool, Usman, not wanting to be the hypocrite, took the fight against Ponzinibbio, even though he sits in the higher position in the rankings. This is a practice that has been avoided by so many fighters within the division and across the organization in recent years. However, this fight, booked to main event an upcoming card in Chile, is a fight that the welterweight division needs, as it creates a future contender for a division with the potential to have a big year in 2018. Let’s face it, Woodley isn’t the most popular champion. Even though he’s been one of the most active since winning the belt in 2016, fans haven’t taken to him, and he’s at constant odds with UFC leadership. As Covington continues to rise in popularity through unbecoming ways, the rest of the division's prospects -- Usman, Ponzinibbio, Till, Leon Edwards and others -- look for ways to build up their own followings. 2018 can be the year in which many of these men face each other to see who reaches the top of the weight class. Without these fights, the division becomes stagnant, a situation that we've seen play out across many weight classes in the UFC. The UFC has been slowly moving toward a booking model that can help it with the process of developing new stars. Darren Till has an opportunity to cement his place as a contender against "Wonderboy" Thompson, and the same rings true for Kamaru Usman and Santiago Ponzinibbio with this fight. Proper booking is the way to go, and this fight is an example of such.